NeoGraft Hair Transplant Warning – Let The Buyer Beware! Follicular unit extraction (FUE) has come a long way since it was first introduced through The Bald Truth to North America by Australian hair transplant pioneer Dr. Ray Woods. Early adapters of the technique found it to be extremely labor-intensive when performed correctly, and limited by the number of grafts that can be safety harvested intact per procedure. 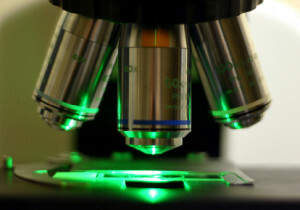 During the slow evolution of this technique, several automated devices have been introduced into the mix with varying degrees of success. However, no matter which device is used to help in expediting the extraction of intact follicular units, it’s important to note that all devices are completely dependant upon the skill of the operator. One FUE device that has been heavily marketed and has been receiving a great deal of press lately, is the NeoGraft hair transplant machine. Unfortunately, for unsuspecting hair loss consumers, some of the claims being made by the manufacturers of this device, as well as by some practioners who have purchased the device, are, in our opinion, questionable at best. 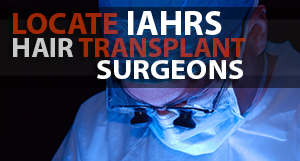 This week IAHRS accepted member Alan J. Bauman, M.D. is warning consumers that unqualified surgeons and non-medical practitioners may soon begin offering “NeoGraft FUE” procedures. Notwithstanding the warning, Dr. Bauman is strongly supportive of the new NeoGraft device and was the first qualified hair transplant surgeon to utilize it in his practice. However, Dr. Bauman said he feels compelled to remind consumers that, as remarkable as he believes the NeoGraft is, it is still just a “tool” – and it is not a substitute for a qualified hair transplant surgeon and surgical team. The bottom line: Hair transplantation is real cosmetic surgery, that requires a specific skill set of both the hair transplant surgeon and the surgical staff. If a single aspect of the process is compromised in any way, the outcome of the surgery can range from mediocre to disastrous. Who is legally allowed to do the extraction phase ? Neograft supplies its doctors with techs who are performing the extraction. The techs do not work for Neograft, they are just introduced to the doctors who buy the device. Neograft carefully insulates itself from new work being done by inexperienced doctors who buy the machine. It was bad enough that Neograft has made it so easy for doctors to get into hair, but now one of those doctors has started a school for anyone wanting to learn to be a neograft tech, the ad on google say you can make 100k a year. Just as neograft markets to doctors with no experience, how easy it is to get into hair restoration and how much money you can make, now anyone can become a tech. so you will have new doctors and new techs doing hair transplants. It’s clear that making the decision about where to get a hair transplant is not a simple as the decision about where to get a haircut. Not only is a hair transplant a significant investment in one’s self, the stakes in terms of your health and appearance are high. I’ve found in my own practice that patients are often anxious and confused, and this comes as no surprise – after all, they’re not doctors. 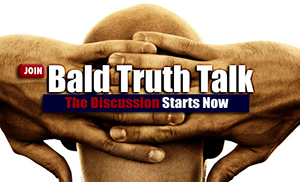 Dr. Bauman is absolutely correct that consumers need to check the credentials of their potential hair replacement surgeon, and making sure their specialist is a member of the American Board of Hair Restoration and/or American Hair Loss Association and/or The International Alliance of Hair restoration Surgeons is a great start. The Neograft is simply one of the few devices that the hair transplant surgeon uses to assist with FUE. 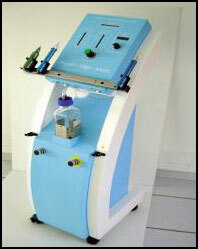 Other mechanical devices and hand held instruments are available, but Neograft has been highly marketed. Regardless of the instrument, your doctor must first demonstrate FUE skill before selling you on a procedure using any of these devices. So any suggestions where to find a good doctor?